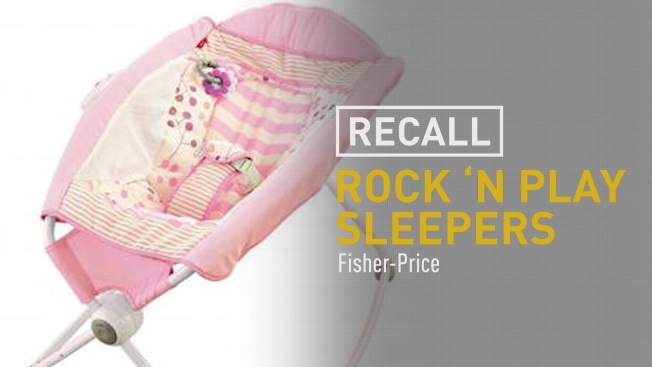 Fisher-Price has issued a recall for the Rock 'n Play sleeper after more than 30 reported deaths. Fisher-Price recalled nearly 5 million infant sleepers on Friday, after more than 30 babies died in them over a 10-year period. The voluntary recall comes a week after Fisher-Price and CPSC issued a safety warning on the sleepers. But The American Academy of Pediatrics urged Fisher-Price and the CPSC to recall the sleepers, calling them "deadly." In a statement Friday, Fisher-Price said that it stood by the safety of its products and said it issued the recall "due to reported incidents in which the product was used contrary to the safety warnings and instructions." For more information or to request a refund, visit www.service.mattel.com and click on “Recalls & Safety Alerts” or call 866-812-6518 from 9 a.m. to 6 p.m. ET Monday through Friday. You can also find more information on the recall here.